Home Latest Iceland: Worthy Cause Or Cynical Stunt? Iceland’s Christmas TV ad with an anti-deforestation message was banned in the UK; has the supermarket pulled off a fantastic PR stunt, or is it simply being true to its values? “Many a small thing has been made large by the right kind of advertising,” Mark Twain once said. This week we’ve seen a bit of a twist on that notion, as a “small” thing – or at least a topic with a relatively low level of awareness or outrage around it – has been made big, by the advert in question being banned. We’re talking, of course, about Iceland supermarket’s Christmas ad. Clearcast, which approves ads for broadcasters including Sky, Channel 4 and ITV, said it couldn’t pass the ad as it was against the rules of the Broadcast Code of Advertising Practice, which preclude all “political” advertising. 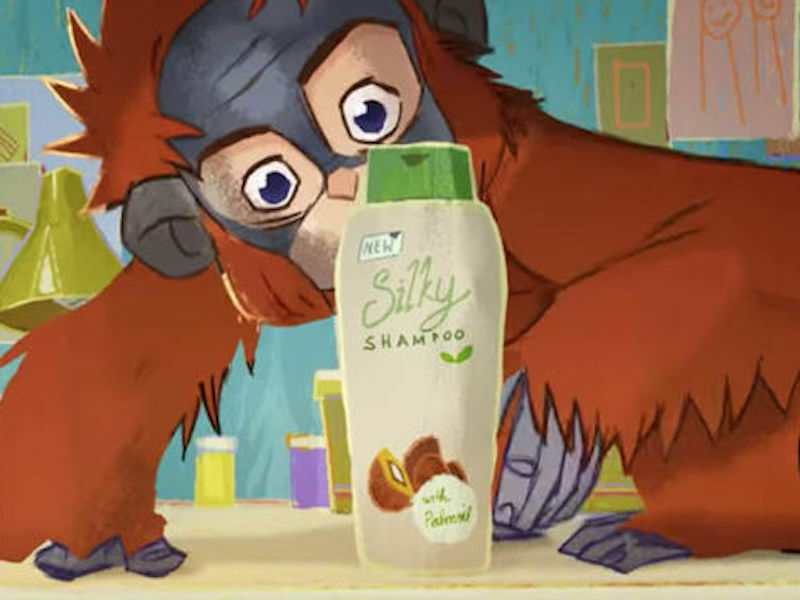 The ad is a rebadged short animation made by Greenpeace – one of the most political NGOs – featuring an orangutan called Rang-tan and the destruction of its rainforest habitat by palm oil growers. It’s not your classic warm-and-fuzzy festive message, but it’s perfectly in tune with Iceland’s brand values: earlier this year it became the first major supermarket to pledge to remove palm oil from all its own-brand foods. At the time of writing, the tweet had had more than 95,000 likes and 90,000 retweets, with support and shares from names as varied as James Corden and comedian Bill Bailey, Guardian media editor Jim Waterson, MP Michael Gove and singer Paloma Faith. Somewhat inevitably, a Change.org petition was launched to have the ad cleared for TV, which now has more than 670,000 signatures. So has Iceland pulled off a fantastic PR stunt that’s probably going to make it the most talked-about TV ad never to be on TV, or has it been stymied in a genuine attempt to raise awareness of a worthy cause that reflects its values? Christmas television advertising is a huge deal in the UK; it’s one of the last corners outside Cannes where ads still get talked about, and by real people and the mainstream media rather than just those of us in the marketing bubble. But Iceland has never been like other retailers, let alone other supermarkets. Entrepreneurial founder Sir Malcolm Walker was a “vocal CEO” long before social media and political and social unrest drove more business leaders to stick their heads above the tills. I interviewed Walker 18 years ago, when Iceland had just announced plans to make all its own-brand frozen vegetable range organic at no extra cost to consumers, and pledged £1m for the National Trust to invest in environmentally-responsible farming. “Ethics and commerciality are not incompatible,” he told me at the time. Iceland today has annual sales of £2.8 billion and more than 900 company-owned stores in the UK, Ireland and Czech Republic, together with franchised stores in overseas territories including Spain, Portugal, the Channel Islands and actual Iceland, the country. Malcolm’s son Richard Walker – who in a timely coincidence this week was named to our Innovator 25 for EMEA, based on his leadership of the plastics campaign that won both our EMEA and Global Campaign of the Year SABRE awards this year – is very much a chip off the old block (and just as driven: there can’t be many father and son teams who have scaled the North Col of Everest together). Richard Walker had a career as a chartered surveyor and property developer before joining the family firm. He worked from the ground up, stacking shelves before moving to head office, and was made MD of Iceland and its large-format sister The Food Warehouse in August 2018. Sustainability has always been dear to Iceland’s heart, but under the younger Walker's leadership it’s taken a giant leap forward, with initiatives including becoming the first major retailer globally to commit to eliminating single-use plastic packaging from its own label range, to its campaigning on palm oil. It’s also only recently that the firm’s sustainability initiatives have crossed over to its marketing, to the extent that it’s now seen as a corporate activist. The new, more disruptive, focus on environmental causes is a long way from Iceland’s Christmas ad campaigns of a few years ago – featuring such party delights as the infamous “pretty King Prawn Ring” and B-list celebs including Kerry Katona, former member of girl band Atomic Kitten, yelling “Mum’s gone to Iceland” over a previously-frozen buffet – campaigns that were widely mocked. I spoke to Richard Walker last month as I was putting together the final Innovator 25 listing, having identified with the help of his agency Weber Shandwick that he was, in fact, the heart and the brains behind the #TooCoolForPlastics campaign. Both father and son leave a lasting impression of being completely genuine, thoughtful, and passionately articulate. They are also, however, both savvy business people, with a natural knack for spotting, and telling, a good story. And it’s the fact that Iceland is a business rather than an NGO that has led some cynical commentators to conclude that they deliberately put forward an ad that was already owned by Greenpeace, which they knew was never going to pass the advertising code’s political test, purely so they could then say an ad for a good cause had been banned. Overtly cynical comments have actually been few and far between: there are plenty of references to the ad ban being “a publicity stunt” but the overall take even from those using the term on social media is that if true, it’s a worthwhile use of a publicity stunt. The banning of the ad, to many, felt like a baffling decision to silence an important message about a critical environmental issue: in its way, as political as the ad itself, although it’s never quite that simple: Wired has already pointed out “all the things wrong with the Iceland ad” including the supermarket’s hitherto appalling rating on use of palm oil, and the ban being because of the association with Greenpeace, rather than the content. All the views and shares, however, undoubtedly mean that that content has already had much higher levels of engagement than if it had run without fuss or comment on TV, even if fewer eyeballs have so far passed across it. And Iceland didn’t even need to spend their media buying budget: all the coverage is earned. But in the end, it doesn’t really matter whether we think submitting an ad that would inevitably be rejected was a cool, calculated move, or a brand being naïvely true to its values, with a leadership committed to sustainable business practice and maybe even changing the world. Whatever of our own world view or level of cynicism or emotion we project onto or take away from the episode, you can only finally judge a marketing, advertising or PR campaign on whether it achieves its objectives. Iceland has indeed made a small thing big, with exactly the right kind of advertising. In this case, the banned kind.